Every month we organize a selection of cultural activities for our students i.e. 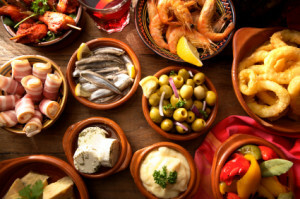 field trips, museum visits, film projections or our popular Anda meeting, where people from many nationalities get together to chat in different languages and eat Tapas. Many of the activities that we organize are free of charge. The activities that aren’t free such as the visit of different museums and other special activities are nevertheless especially cheap, as we get thanks to our school more favourable admission charges for our students. On every last Friday of the month Anda students and our employees of different nationalities get together to our popular Anda meeting. We begin this activity in the school with some games to get to know each other and subsequently we go to eat Tapas. Is there any better way to learn a language than with good food? 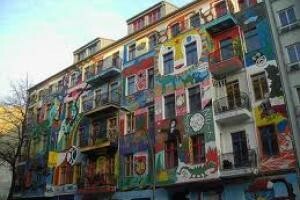 We also organize tours around the neighborhood of Friedrichshain and some of its most relevant areas. We tell our students some of the stories which make Friedrichshain one the most popular districts in Berlin. It’s the perfect way for the students to become familiar with the area where they will certainly spend many hours. 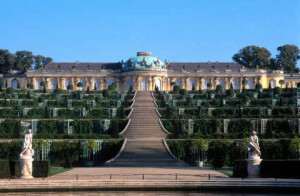 In the summertime we organize day trips to the beautiful city of Potsdam, the capital of Brandenburg, where we will visit its main places of interest, such as the Sanssouci Palace, its majestic gardens and the popular Dutch Quarter. 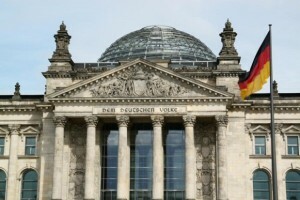 One of the most popular activities among the students is the free visit to the astonishing dome of the German Parliament, with audio guide available in all languages. Not to be missed if you are visiting Berlin for the first time. 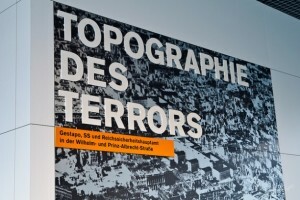 The permanent exhibition „Topography of Terror“ is located on top of the leftovers of the former Gestapo headquarter and next to one of the few parts of the wall, that still remains in its original state. The exhibition consists among other things of enormous amounts of photographic material in which Hitler’s rise to power is documented. It is discussed how the dark apparatus of power was organized during WWll. We organize guided tours in Spanish or English. This activity is always free of charge. 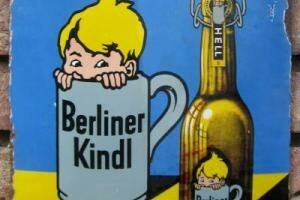 The guided tour through the Berliner Kindl brewery is another of our most carried out activities. You can admire live the production plants, see over the brewers‘shoulders during the production process and find out how the beer is eventually bottled. The admission charge includes three beers of your choice. Guided tour in a former Stasi prison, which enables the visitors to obtain a real insight into the penitentiary conditions of the GDR, because most of the buildings and interiors are still intact. It is an extraordinary tour as the majority of the guides are former prisoners that enrich the tours with their own personal experiences.